Pakistan is the most high-profile and divisive example of the increasing use of UAVs in recent conflict situations. However, more than 50 nations now use drones for reconnaissance, intelligence-gathering and targetting. The machines range from the strategic-reconnaissance Global Hawk, which can fly non-stop from California to Australia, to mini surveillance robots that look like props from a James Bond film. The US is by far the biggest UAV user, with 18 different missions ranked in order of priority for the various classes of drone in the American inventory. 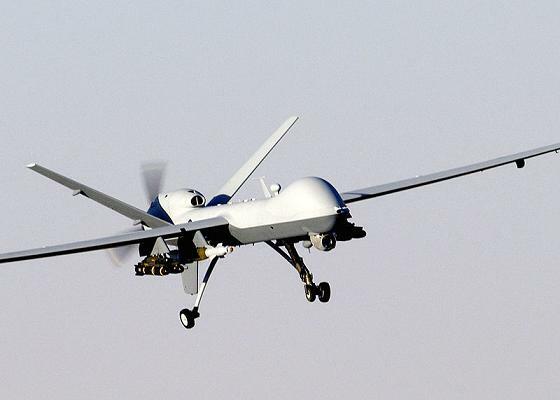 Among these, the main UAV in operation is the Predator/Reaper family of aircraft flown across southwest Asia by military crews at Creech Air Force Base, Nevada. The US Air Force has a fleet of 138 of these airframes, of which 118 are Predators and 20 Reapers. In March 2009, the IISS was invited to visit Creech for a behind-the-scenes look. Reaper crews are becoming very familiar with way Afghans go about their daily business. Because they do not have to rotate in and out of theatre every few months, UCAV crews on three-year tours in Nevada are well placed to tell when something unusual is happening in a village or along a road that they have been monitoring for months. Firing weapons from a Reaper involves the same process as for conventional aircraft. Under standard NATO clearance to fire, ‘cleared hot’ means that the ground commander understands the effects of the weapon to be fired and has the right target coordinates and the full picture on any nearby friendly forces. Reaper aircrew, supported by intelligence analysts sitting behind them, work with both JTAC and the ground commander to ensure that they have positive identification of the target site. If they are not satisfied, the Reaper crew won’t drop – they usually have time to go round again. Although American and British personnel are tasked within the coalition, they work to national rules of engagement. Both 42AS and 39 Squadron are 8,000 miles from the theatre of operations, and not in any physical danger. For this reason, UCAV flying has been likened to ‘commuting to combat from northwest Las Vegas’. Despite this, the crews consider themselves completely involved. Each four-aircraft CAP system requires 30 personnel to support it around the clock, and operators say they do feel as though they are on the front line. As one weapons-system operator put it: ’In the way we deploy weapons, you actually see the delivery of the bomb to the bitter end ... so we are definitely emotionally involved.’ UCAV operations are dependent on skilled tri-service personnel, some with on-the-ground operational experience, who try to ensure that any strike is accurate, proportionate and avoids civilian casualties.